Stepper Motor DCNC-NEMA34-12.0Nm (IP54) | DamenCNC B.V. 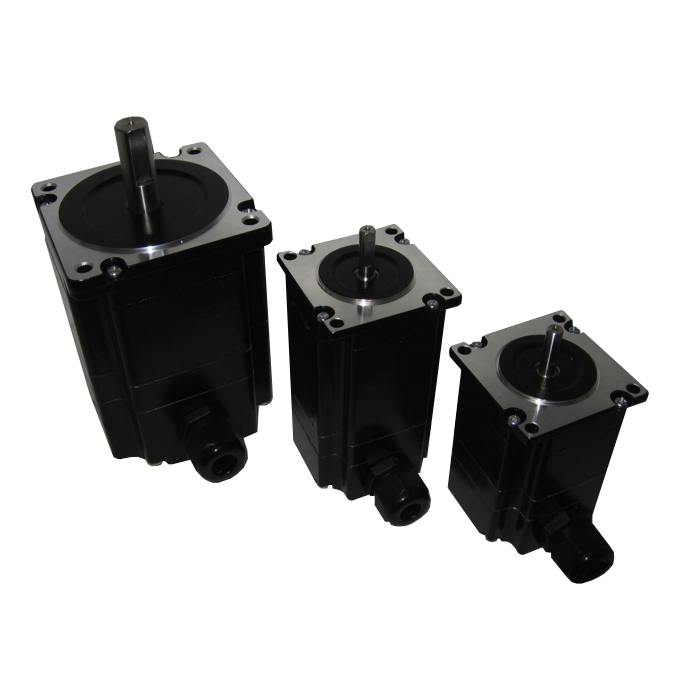 This type of steppermotor is produced especially for DamenCNC, according to our specifications. We did not like the normal steppers that were available on the market. These have leads coming out of the motor, requiring soldering, or other termination methods, which are time consuming and error prone. This motor has a screw terminal on the back of the motor. So its very easy to do the wiring. Also which wire is what is written on the PCB, so its clear for the mechanic, where A+ A- B+ B- is located. Which basicly means you dont need a datasheet to connect this steppermotor to a driver. The motor then also has a cover to prevent chips and dirt getting into the wiring/connections. Also a common problem we have seen on normal steppers, is that the wiring tends to break/fracture where it comes out of the steppermotor. 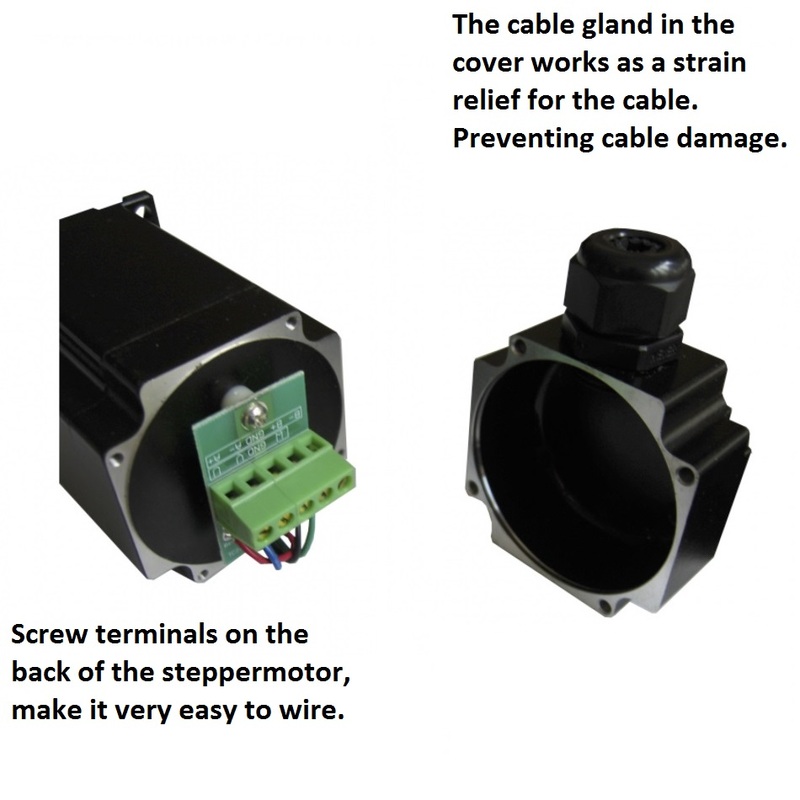 On these motor, there is a strain relief in the form of a cable gland that prevents this. 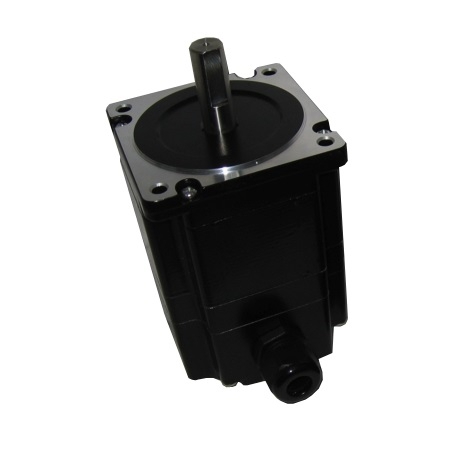 We sell these motor in high volume, so also the price point is lower or the same as the normale NEMA 23 steppermotors, which dont have all these extra features.